Late payment fee: Add $5.00 if mailed after April 30th. For out-of-town travelers, rooms are available at the Clarion at $99.00 per night. To get this special rate, call the Clarion Sales Office between 9:00 AM and 4:30 PM, Monday thru Friday at 610-521-9600, Ext. 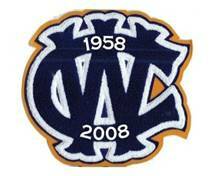 1156, ask for Harley Toner, and mention the West Catholic Class of 1958 Luncheon. Do not book through the Clarion Website, their 800 number, or the reservation desk at the hotel. Booking must be made no later than April 30, 2019. 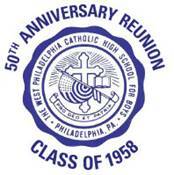 · West Catholic Class of 1958 Pictures from the Blue & White. · Our own Hugh Gilmore Published another book! 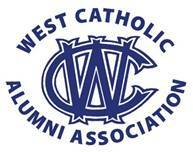 TO ALL OF THE MEMBERS OF THE WEST CATHOLIC BOYS' CLASS OF 1958.